Pumpkin Spice is everywhere this time of year. I mean everywhere! I broke down and bought a package of the new Oreo Pumpkin Spice cookies. I was prepared to hate them, but they were actually pretty good! I bought two packs, so I started thinking of ways to use them in a recipe. It was super easy to make and it tasted really good! I let this sit in the refrigerator overnight before we sampled it. 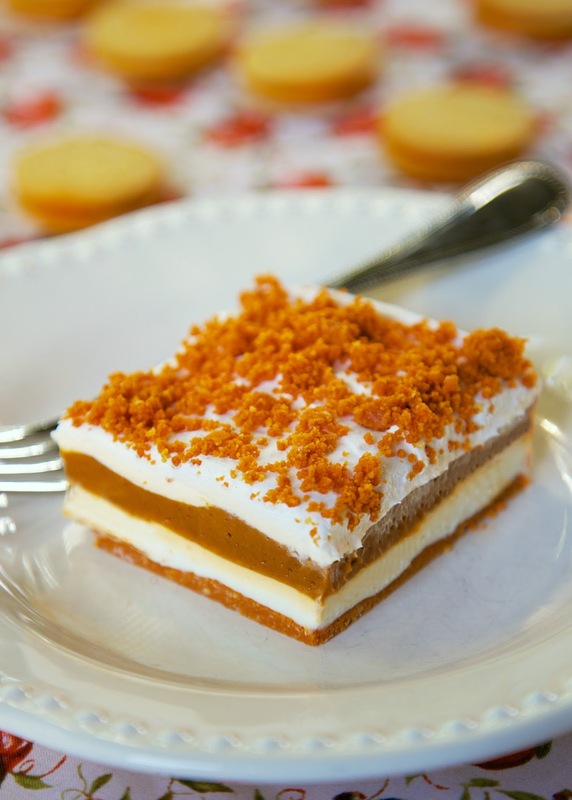 If you want a quick, no-bake dessert with no pumpkin, just pumpkin spice - this is for you! Crush Oreos in food processor. Reverse 1/2 cup for topping. Combine remaining Oreo crumbs and melted butter. Press into a 9x13-inch pan. Set aside. With a hand-held mixer, beat together cream cheese, powdered sugar and half of the Cool Whip (8oz). Spread over cookie crust. With a hand-held mixer, beat together pudding and milk. Beat at medium speed for 2 minutes. Spread over cream cheese layer. Spread remaining Cool Whip (8oz) over pudding. Sprinkle Cool Whip with reserved Oreo crumbs. Refrigerate at least 4 hours. Keep refrigerated until ready to serve. 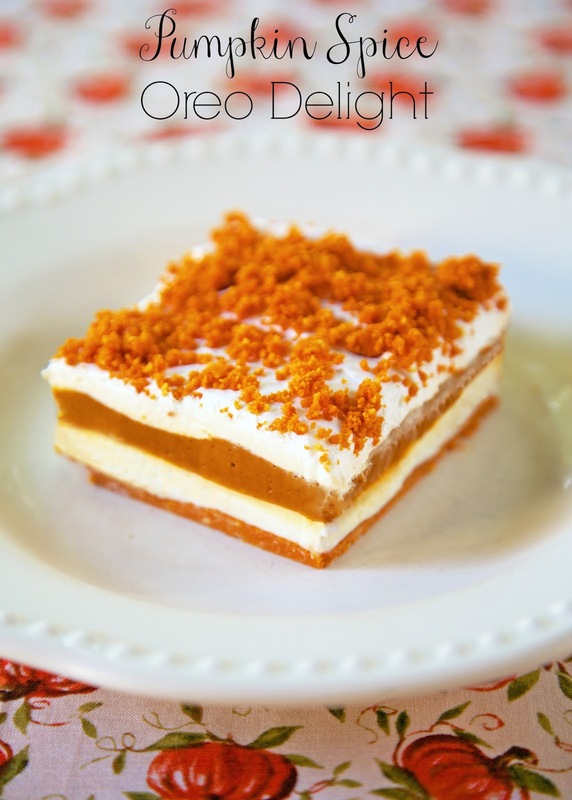 Oreo Delight is so wonderful, I can only imagine what Pumpkin Spice oreo delight would be like - I bet this is divine! Girl, you have got the best recipes! I think I print out each one I get. And each one I've tried is a winner! !